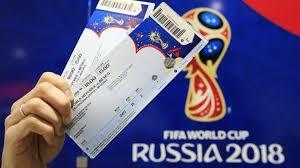 September 24 – An investigation has been opened by Croatian authorities into the alleged sale of black market tickets for the World Cup final. According to the local channel N1 and the index.hr website, the offices of the Croatian federation were raided as part of the probe ordered by the Zagreb state attorney’s office. The tickets concerned were apparently earmarked as only being available to “members of the football family” and not to the general public. Croatian media reported that FIFA questioned why tickets that had been destined for the European Broadcasting Union ended up on the black market. Serial numbers reportedly traced them to HRT, Croatia’s public broadcaster. The EBU then apparently contacted HRT for an explanation. The sale was ultimately blocked by FIFA. Drago Cosic, one of the Croatia’s best-known TV commentators who allegedly participated in the scam, has since lost his job according to Croatian media.